As a kid growing up, my brothers were really into the Rasta thing, and I was just sitting on the fence, really. For me that whole album is about the way that Barrington delivers his vocals. Whenever I've listened to music, I've always liked stuff that just doesn't seem right, and is different. 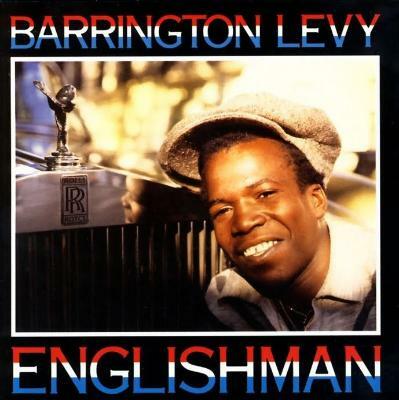 Barrington Levy's voice is just so different. It was very animated, and the subjects he was singing about, you know, about living in poverty just really dragged me in. When I write sometimes, I like to sit back and think, "Oh, that lyric reminds me of a Barrington Levy jam." In some of the songs he's writing about getting a beating off his mother, and to me that's really dramatic. That album really sums up the type of music that was being played in my house at the time. There's a lot of nostalgia involved in it for me. It's a completely different time now, since that record came out. There have been hundreds of reggae songs, but I'm talking about when this stuff was fresh, when Barrington Levy came out and it was just jaw-dropping, you know? You say that, but I just put a record on and let the music take me. I don't think, "Oh, I've got four hippy guys coming 'round tonight, I'm going to play Zeppelin or Zappa." I don't play music like that. I might be in a raging mood, and I'll want to put Barrington Levy on!